Who knew tarragon and celery seed were such good friends? 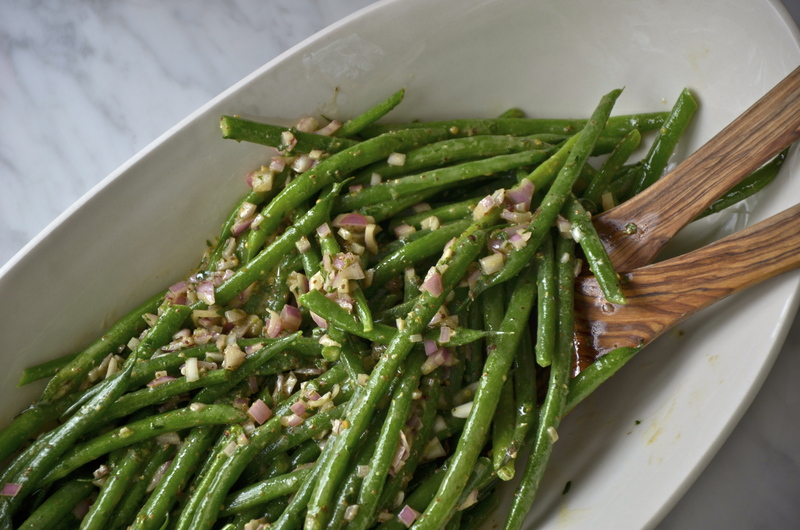 They come together beautifully and freshly in this french bean salad. In fact they sing out loud, while the other ingredients – stalwart dijon, sophisticated sherry vinegar, and trusty olive oil – provide back-up and support the whole act. 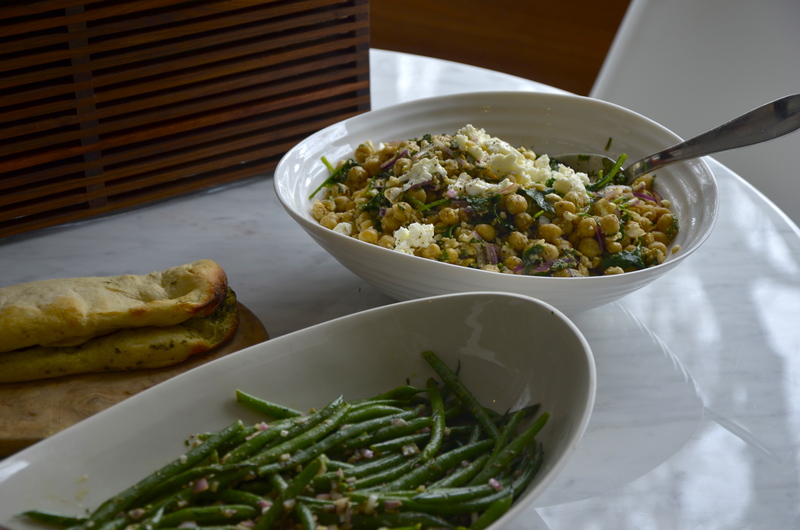 It’s a delicious lunch salad next to a chickpea kale and feta salad. And, to boot, this salad gives you a little hit of nature’s medicine. Tarragon is known to prevent cardiovascular disease. And celery seed? Aulus Cornelius Celsus was talking about using these tiniest of seeds for pain relief way back in 30 AD. Bring a large pot of salted water to a rolling boil. Once the water has reached boiling point, turn the heat down slightly and blanch french beans in the water for 4 – 5 minutes until just tender. Remove beans immediately and give them a bath in iced water to stop the cooking process and lock in their bright green colour. Drain and set aside. 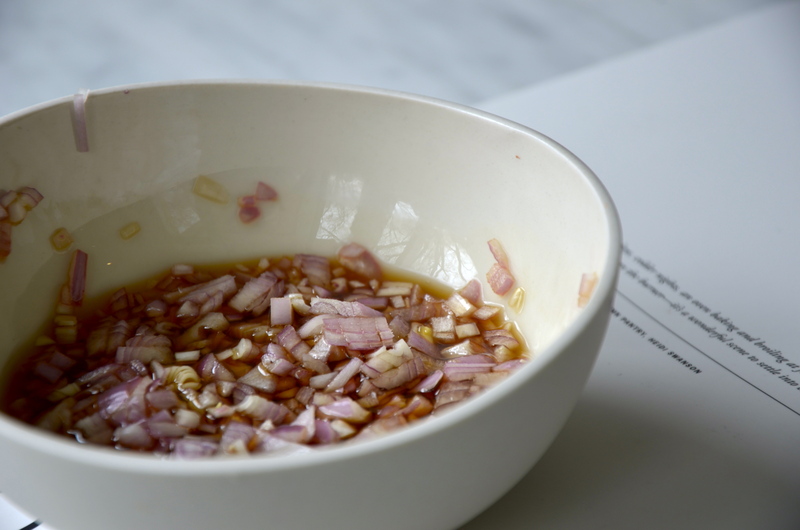 Meanwhile, add finely diced shallots to the sherry vinegar and let sit for 10 minutes. 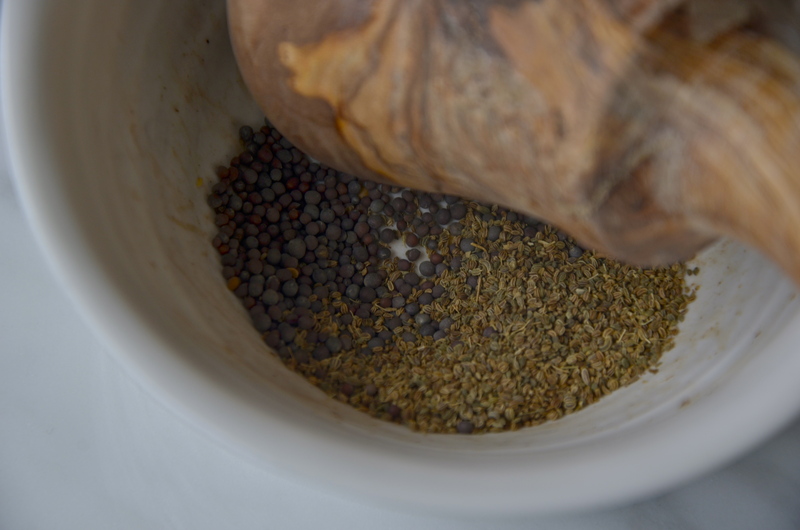 Crush the celery and mustard seeds with a mortar and pestle. Set aside. Add dijon mustard to the sherry vinegar and whisk until well blended. Slowly add the olive oil, whisking as you go to make sure the mixture combines well and reaches a creamy consistency. Once mixed well, add crushed celery and mustard seeds, chopped tarragon, and sea salt to taste. Toss dressing with the blanched green beans. Adjust seasoning if necessary. Serve as a light lunch or as a wonderful side to any french-leaning dinner.